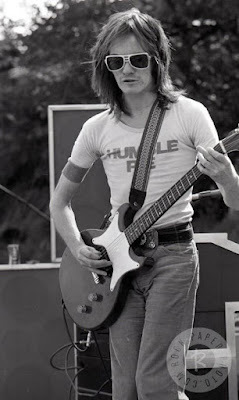 Stephen Peter Marriott (30 January 1947 – 20 April 1991) was an English musician, songwriter and frontman of two notable rock and roll bands, spanning over two decades. 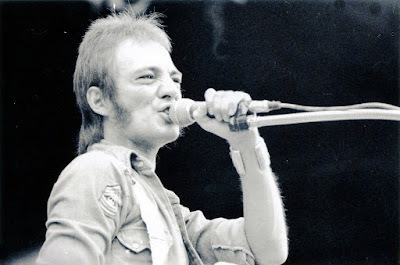 Marriott is remembered for his powerful singing voice which belied his small stature, and for his aggressive approach as a guitarist in mod rock bands Small Faces (1965–1969 and 1977-1978) and Humble Pie (1969–1975 and 1980–1981). Marriott was inducted posthumously into the Rock and Roll Hall of Fame in 2012 as a member of Small Faces. In Britain, Marriott became a popular, often-photographed mod style icon through his role as lead singer and guitarist with the Small Faces in the mid to late 1960s. Marriott was influenced from an early age by his heroes including Buddy Holly, Booker T & the MG's, Ray Charles, Otis Redding, Muddy Waters and Bobby Bland. In later life Marriott became disillusioned with the music industry and turned his back on the big record companies, remaining in relative obscurity. He returned to his music roots playing the pubs and clubs around London and Essex. Marriott died on 20 April 1991 when a fire, which was thought to have been caused by a cigarette, swept through his 16th century home in Arkesden, Essex. He posthumously received an Ivor Novello Award in 1996 for his Outstanding Contribution to British Music, and was listed in Mojo as one of the top 100 greatest singers of all time. Black Sabbath frontman Ozzy Osbourne named Marriott the fourth greatest singer and Clem Burke of Blondie named him the sixteenth greatest singer. 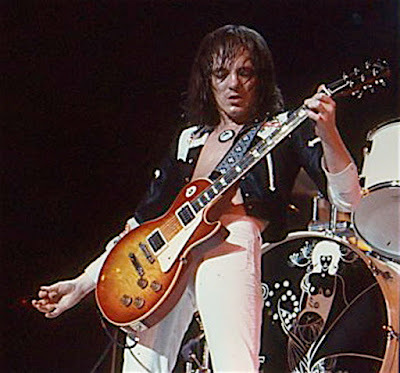 Paul Stanley of Kiss has said, "He had a great voice" and went on to say, "Steve Marriott was unbelievable". Keith Richards listed Marriott as one of his five favorite artists of all time. Steve Perry of Journey has said that, "One of my favorite vocalists was Steve Marriott." 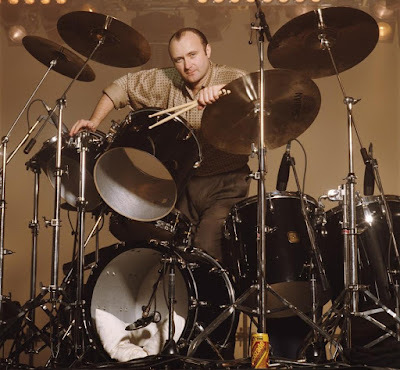 Philip David Charles "Phil" Collins, LVO (born 30 January 1951) is an English musician, singer-songwriter, multi-instrumentalist, actor and writer, best known both as drummer and vocalist for English rock group Genesis and as a solo artist. 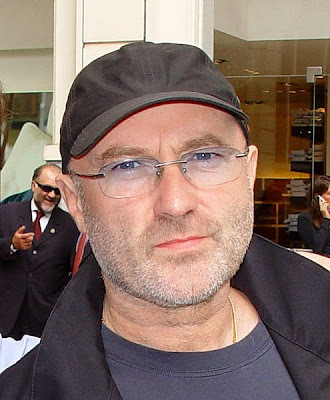 He sang the lead vocals on dozens of hit albums and singles in the UK and the US between 1976 and 2010, either as a solo artist or with Genesis. 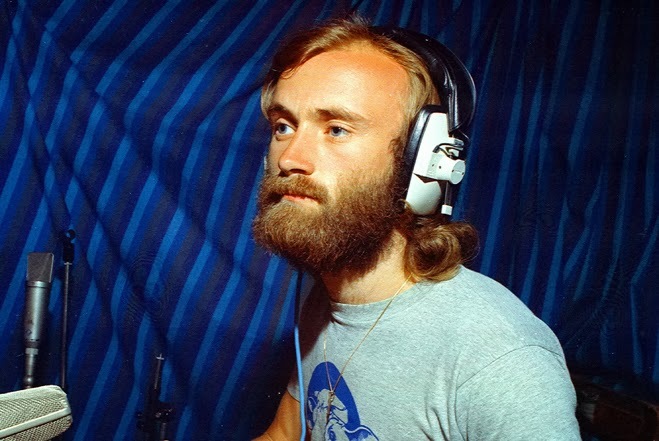 Collins joined Genesis in 1970 as the group's drummer and became their vocalist in 1975 following the departure of their original frontman Peter Gabriel. His solo career, which was launched in 1981 and was heavily influenced by his personal life and soul music, brought both himself and Genesis greater commercial success. Collins's total worldwide sales as a solo artist are 150 million. 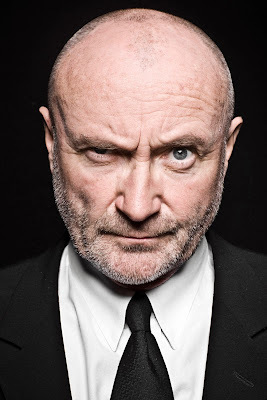 Collins has won numerous music awards throughout his career, including seven Grammy Awards, six Brit Awards—winning Best British Male three times, three American Music Awards, an Academy Award, two Golden Globe Awards and a Disney Legend Award in 2002 for his solo work. He received a star on the Hollywood Walk of Fame in 1999, was inducted into the Songwriters Hall of Fame in 2003, and into the Rock and Roll Hall of Fame as a member of Genesis in 2010. Collins is one of only three recording artists (along with Paul McCartney and Michael Jackson) who have sold over 100 million albums worldwide both as solo artists and (separately) as principal members of a band. When his work with Genesis, his work with other artists, as well as his solo career is totaled, Collins had more top 40 hits on the Billboard Hot 100 chart during the 1980s than any other artist. In 2008, Collins was ranked the 22nd most successful artist on the "The Billboard Hot 100 Top All-Time Artists". He announced his retirement from music in 2011 to focus on his family life, but indicated in 2014 that he was still writing songs. He announced his return to the music industry in 2015.